3D Chat World - moove online - The Community - Virtual 3D Chat Marketplace & Message Board! Share your thoughts and feelings with others moove online 3D Chat members! Post a wedding announcement and marry virtually. 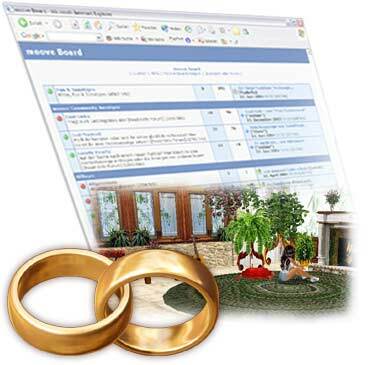 Tell everyone about your true love by displaying the wedding ring medal on your nickpage. Become a minister and wed other members. Take a stroll and be amazed at the creativity and loving detail evident in our members' personal worlds.